Joe sez: First of all, I'm blown away by how many people have contributed to Tess's War on Alzheimers. You folks have raised over $12,000. As a result, I have over 100 guest posters in the upcoming months/year. 2. Attach the blog post in MS Word with all hyperlinks already embedded. 3. Attach the cover art to your book as a jpg. 4. Remind me the day before you want the post to go live by sending all of the above to me a second time. If there are any overlapping dates, the first one to send me their full blog post as described above gets that date, and I'll inform any other people that date is taken. Here's the first guest blog for Tess--from my good buddy Marcus Sakey, who is even more talented than he is generous. First, a bit of pre-business—Joe let me guest blog because I had an idea I wanted to write about, and he’s a friend. But because it’s a hell of good cause, and I love the spirit of the thing, I just donated $500 to Tess Gerritsen’s amazing War on Alzheimers. That means I get five guest blogs, right, Joe? Earlier this year I had the good fortune to get the rights back to my first two novels, The Blade Itself and At the City’s Edge. A frequent question we’re all asked is which of our books is our favorite, and I can honestly say that answer is whichever I just finished. But Blade was my first, and so it will always have a warm place in my heart. And City’s Edge came out at a time when I was in the process of switching publishers, and as a result, it got sort of lost in the shuffle—no malice on anyone’s part, just one of those things. So as you can imagine, I was delighted to get them both back in my hot little hands. Both are now available on KDP, and for the next few days, The Blade Itself is free—please, go, help yourself. To reach this point, over the last two months I’ve been working to convert them to e-book format (thanks to 52 Novels. for some great work), proof them (thanks Kristina), and design new covers. It’s that last part I want to talk about. Before I was a novelist, I worked in design and advertising for a decade. For that reason, I’ve always had strong (and if you’ll forgive, well-founded) opinions on how the book covers should look. Which is where the trouble came into paradise. Get a design back which may or may not incorporate those ideas. 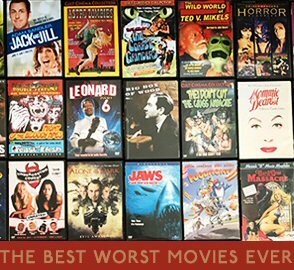 Do you absolutely hate it? If so, maybe, maybe, you can go back to step one. If you don’t hate it, but don’t love it, then maybe you can make a few requests—change the color, swap the font, try a different blurb. This is different than the process I was used to. Working in graphic design companies, it was understood that for any project, an artist would come up with ten or so sketches, which would be turned into three to five roughs, which would be pored over, reviewed, considered, mashed-up, swapped around, and finally turned into one single polished piece. To be clear, I’m not running down my old publishers. They were good folks, all of them, and worked hard. It was just that the system they used was different from the one I wanted. So as you can imagine, I had a ball working with designers this time around. I’ll talk about my second novel first. As I mentioned, it was released under the title At the City’s Edge. That was not my choice. It’s an okay title, but not a great one. Amongst other things, it seems very earnest, like a gritty social novel that’s going to make you feel bad about yourself, when in fact it’s a straight-ahead thriller that hopefully will keep you up past bedtime. So my first move was to change the title. What a liberty! I renamed it Accelerant, the title I’d always wanted. It’s a double meaning; in addition to the sense of velocity, it refers to a chemical agent used in an arson, which is one of the threads of the book—there are a rash of fires devastating Chicago. With that in mind, I wanted the cover image to be suggestive of flame without being too on the nose. I didn’t want any special effects infernos or buildings exploding; I wanted something that spoke to the larger themes of the book, while still being a grab-you-by-the-retinas image that stood out on an Amazon list. A tremendous graphic artist named David Drummond brought it all together for me. I love this cover: it’s evocative, sophisticated, and thrilling. It plays to the essence of the story without trying to recreate it. But the cover for The Blade Itself is the one that inspired this article. My debut novel is the story of two men, once best friends and accomplished thieves, now rivals. One of them has built a new life for himself; the other, newly released from prison, is willing to do anything to make a score of his own. It’s about the way our sins not only follow, but form us; how we can be both tortured and tempted by the worst in our natures. More than that, it’s about how very vulnerable we all are, how our neat little lives can easily be taken apart by anyone who has the will. I wanted the cover to convey that mood: a sense of things out of balance, of the world going very wrong. I wanted an almost vertiginous feeling to it, so that looking at it made you uncomfortable. All three are strong. The second is probably the most direct a representation of what I had asked for. And it’s a grabber, with a nice polish and sophistication. But I was heels-over-head about the first one. Thing is, it’s kind of crazy. First of all, it’s a definitely uncomfortable, maybe too much so. Sure, I love it, but I’m a bit strange—would regular folks be put off by it? More than that, in case you didn’t notice, it’s missing a few things. Like the title, and my name. Of course, because I’m publishing this through KDP, I knew that both of them would be right beside it. And my bet was that other people looked at Amazon the same way I do—the cover grabs your attention, the words seal the deal. Still, it seemed like an enormous risk. But here’s where the new dynamic of publishing offers some incredible opportunities. Instead of being given one cover I had to live with, I had three dynamite options. And since this is a brave new world, I decided not to make the call myself. I put all three up on Facebook, and I let my readers decide. I’ll admit, it was scary. I knew which I wanted. I was confident that it was more important to have a really strong image that leapt off the page than it was to have my name and the title on it. In fact, my bet was that by skipping them both, I would be lending more intrigue: that delicious, “what the hell?” feeling that makes someone click. In the past, I had begged my publishers to let readers weigh in on what they did or didn’t like. And they had always refused, mostly, I think, because they shared the fear I just enunciated. What if the readers chose wrong? But here’s the thing. The readers can’t choose wrong. If your point is to make something appealing to people, then whatever it is that’s appealing to them is, de facto, right. Not only that, but people are smart. They have taste and style and opinions. Especially book people. To my great delight, the experiment worked. While all three images had supporters, the first was the winner by far, not only in the number of votes, but in the intensity of response. If there’s a lesson to be drawn from this, I think it’s that. Yes, put in a lot of work and thought up front. Don’t settle for the first thing that comes your way. But more than anything, remember that the people you’re trying to appeal to are your greatest resource when it comes to knowing what will appeal to them. Seems simple when you say it that way, huh? Both books are now available on Amazon. 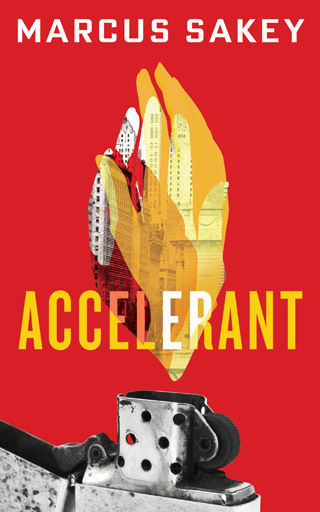 Accelerant is $4.99. And through Saturday, June 22nd, The Blade Itself is free for the taking. And I’d love to hear your thoughts one the cover design process—what grabs you? What kind of a cover just makes you click on it? Second of all, Marcus and I had the same frustration with our covers. IMO, the original Jack Daniels covers that my publishers used--while striking and well done--were Janet Evanovich-alikes, leading readers to think these books were funny cozies. The books are funny, but also scary and dark--themes not portrayed on the cover. They didn't scream thriller that will rattle your nerves. I've always believed my sales suffered as a result, as a lot of people who would have enjoyed them saw the covers and avoided them thinking they were silly fluff, and a lot of readers expecting silly fluff got serial killer mayhem that turned them off. So when I got my rights back, I was thrilled to be able to change the cover to what I originally envisioned--something darker that says this is a thriller while still conveying the playfulness in the book. They actually test marketed their cover art. Before they chose a cover for my German edition of Shaken (called Mr. K), they actually created several covers and got a focus group to comment on which they liked best. This, of course, has been done in other businesses for decades. Harold Lloyd did the first Hollywood test screening in 1928. Asking customer opinion is an invaluable tool of marketing, and can help make the final product more successful. Leave it to Marcus (who, besides being a TV host and writer, also ran his own company in a previous career and knows a ton about marketing) to make Facebook his focus group. A brilliant idea. When he asked my opinion, I immediately picked his favorite choice. In fact, I told him if he didn't use it, I would. I also told him he didn't need to limit himself to one cover. I've changed covers as many as four times for a single title. If one doesn't work, try another and see if it boosts sales. One of the biggest advantages of being self-published is our ability to change something instantly. And this sort of experimentation leads to understanding what sells. More writers should be doing what Marcus did here. I've seen a lot of newbies with--to be blunt--mediocre covers that they love and insist are awesome. Maybe your cover really is awesome. But until you ask the opinions of the masses (not your Mom or best friend) you won't ever truly know. And if your sales are stalled, it may be because a cover that looks awesome to you looks to others like someone with mental challenges and impaired vision accidentally discovered Photoshop while drunk. Get a second opinion who isn't emotionally invested in you. That's the only way it will be honest. In conclusion: buy Sakey's books, and learn from his very valuable lesson. If all of my guest blogs are this good, the Newbie's Guide to Publishing will become a treasure trove of must-read info for writers. Marcus set the bar high with this blog. I can't wait to see what you other folks can do.